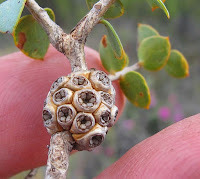 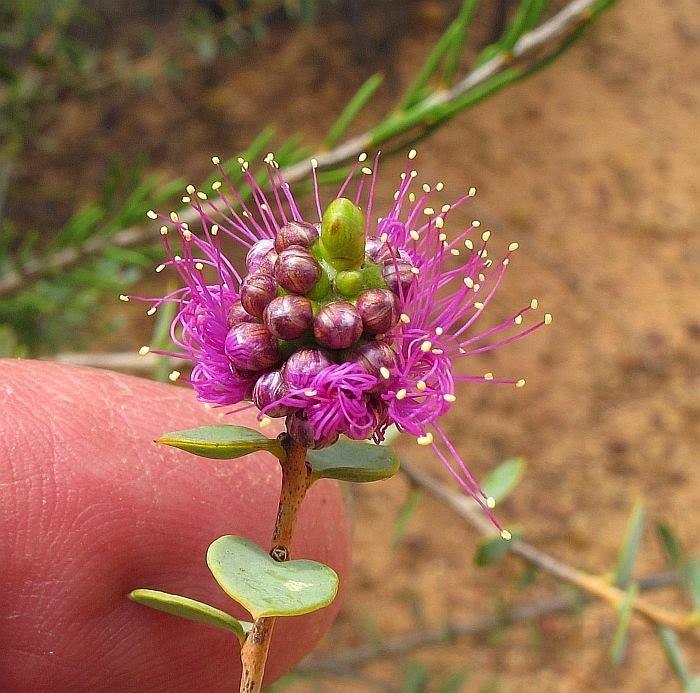 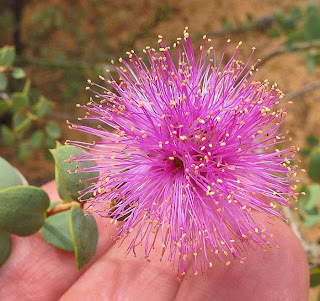 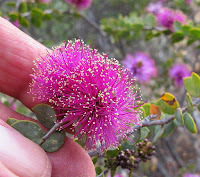 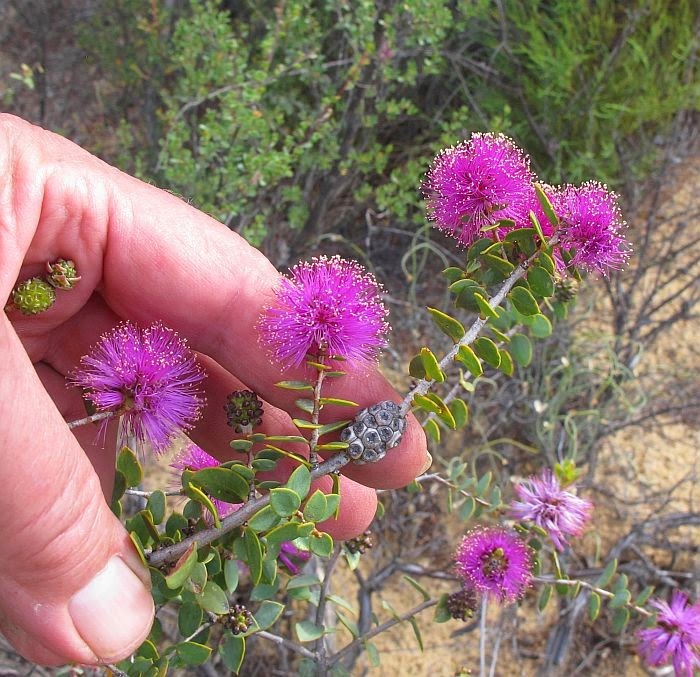 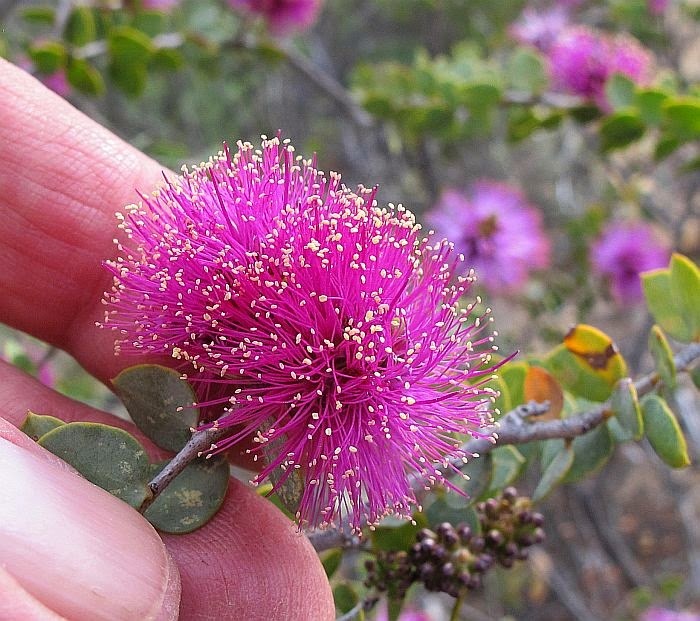 Despite having a very open growth habit, Melaleuca cordata is remarkably ornate having both attractive flowers combined with interesting leathery heart shaped leaves; the purple/pink flowers can commonly be found at various times of the year, although locally they mostly appear during November and December. 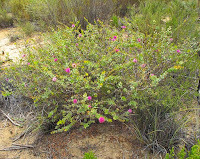 It is a low spreading shrub rarely growing taller than a metre (3’), although it has been recorded growing to twice that height, but probably then crowded by taller vegetation. Melaleuca cordata is mainly an inland species occurring in a band from around 100 km (60 miles) NW of Esperance to the Kalbarri region, preferring a sandy soil in flattish country preferably with a gravel substrate, where although not becoming waterlogged, moisture would be retained for prolonged periods. 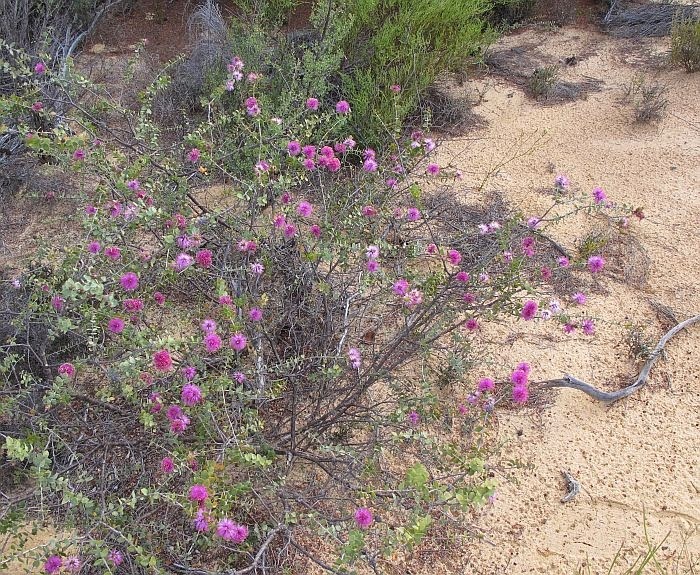 These habitats are generally moderately open, tall shrubby zones, bordering heath and/or mallee woodland. Melaleuca is part of the large and highly diverse Myrtaceae family.